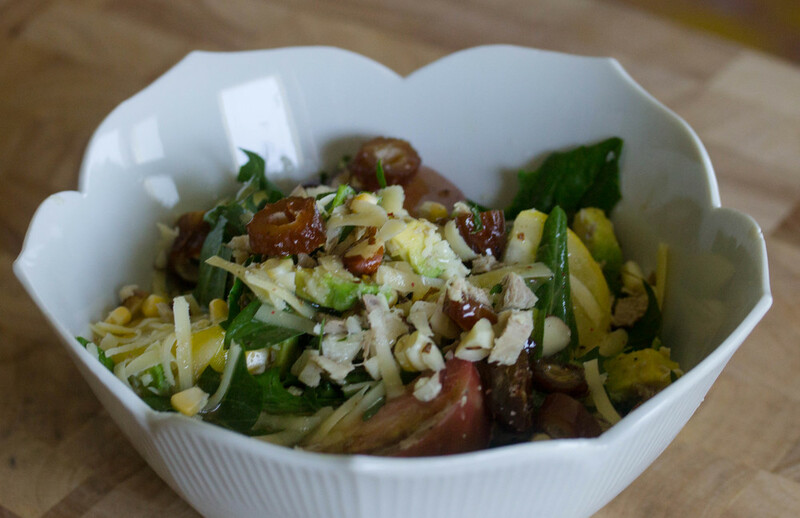 To make the salad, add all salad ingredients to a bowl and gently toss. For the dressing, melt chicken fat and whisk in honey until combined. Add mustard and whisk thoroughly. Add salt, thyme and pepper and mix. Let refrigerate for at least 15 minutes before serving. To assemble, drizzle dressing over salad and toss until thoroughly mixed.